We are pleased to announce that the William Henry Byrd Personal Papers collection is now available for research. 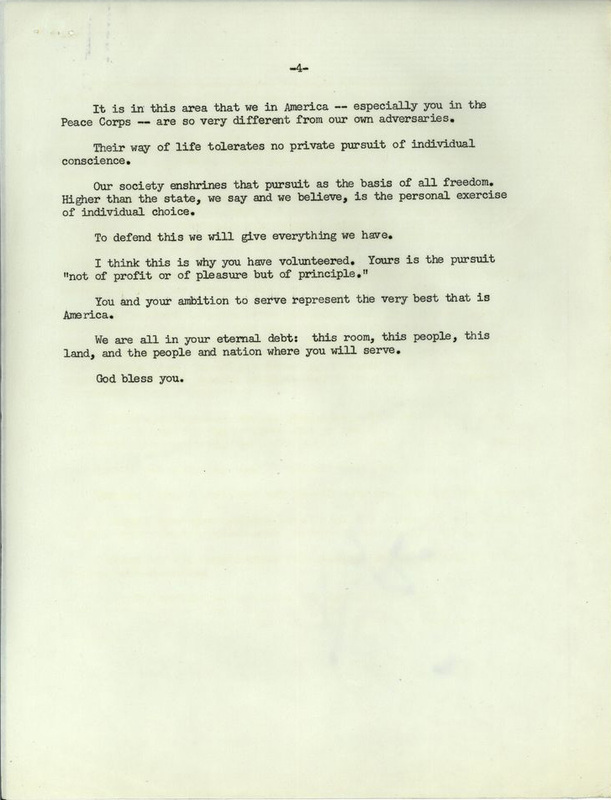 The collection consists of materials created during Byrd’s time as Director of the Peace Corps training camps in Puerto Rico, a position he held from 1961-1963, and include correspondence, weekly reports, staff memos, and Peace Corps newsletters and publications. A large portion of the collection consists of photographic prints, negatives, and slides. William Henry Byrd worked as a high school teacher in Oregon. He was also a mountain guide, and one of his clients was United States Secretary of Defense Robert S. McNamara. 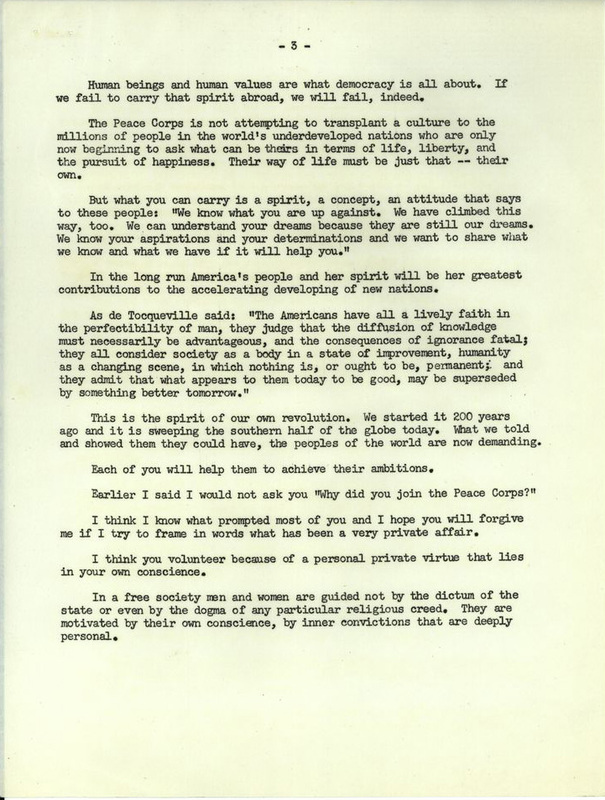 Shortly after the creation of the Peace Corps in 1961, Secretary McNamara approached Byrd to head the Peace Corps training camps in Puerto Rico. Staff memos detail the training schedule for Peace Corps volunteers. View rest of the folder here. Byrd’s materials give great insight into what the training process was like for Peace Corps volunteers. Perhaps due to his former position as a mountain guide, Byrd focused on rock climbing and physical fitness as a way to train the volunteers, but training also included activities such as Spanish lessons. 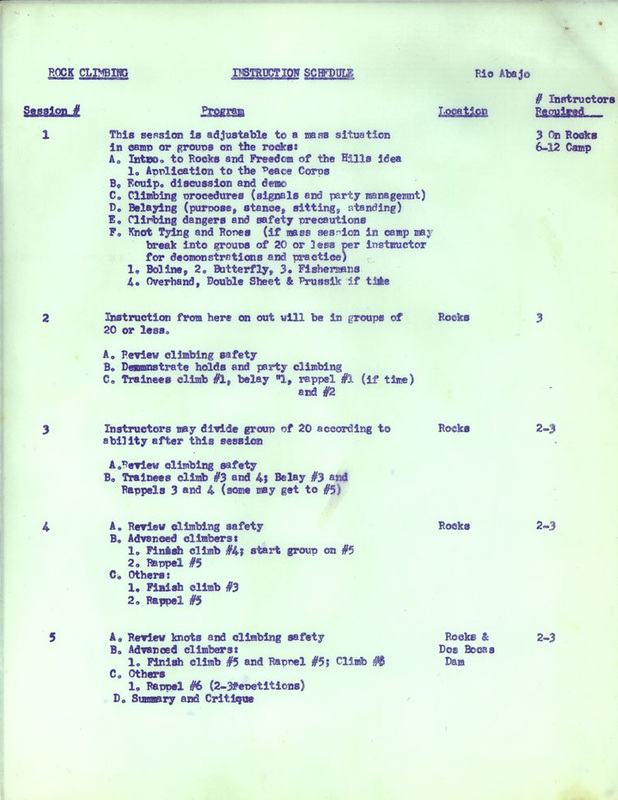 Byrd’s weekly reports contain information such as visitors to the camp, community relations, and staff development. The collection offers a look into the Peace Corps that is not always documented, and we can see firsthand what volunteers encountered. 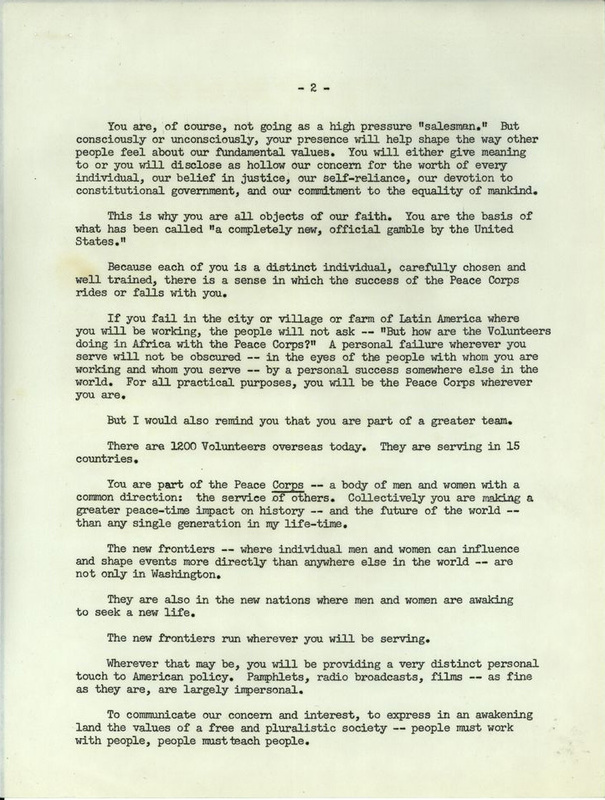 Vice President Lyndon Johnson visited one of Byrd’s camps and delivered a speech to Peace Corps volunteers on July 26, 1962. View rest of the folder here. The collection also contains materials related to notable persons. 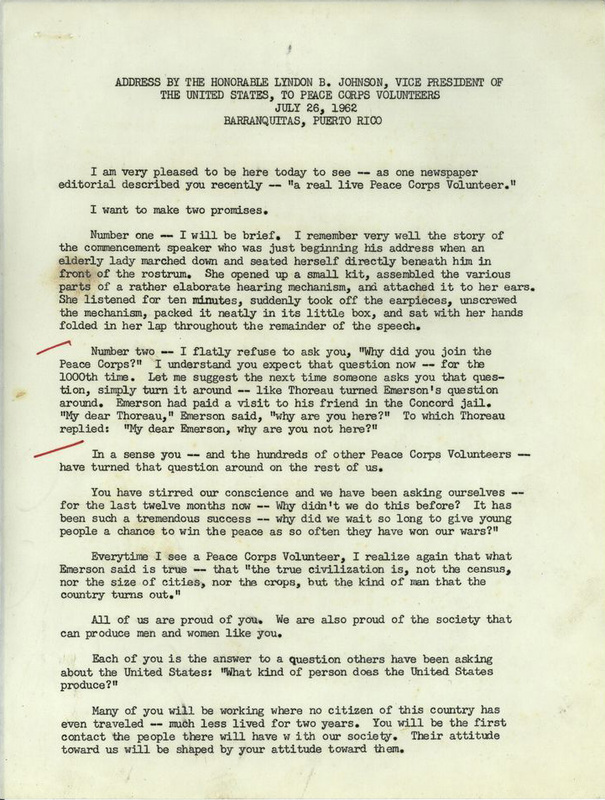 Vice President Lyndon B. Johnson visited Camp Radley, one of the training camps led by Byrd in 1962, and a copy of his address to the Peace Corps volunteers is included in the collection. There is also correspondence between Byrd and Director of the Peace Corps Sargent Shriver, as well as photographs of Shriver with Governor of Puerto Rico, Luis Muñoz Marín. 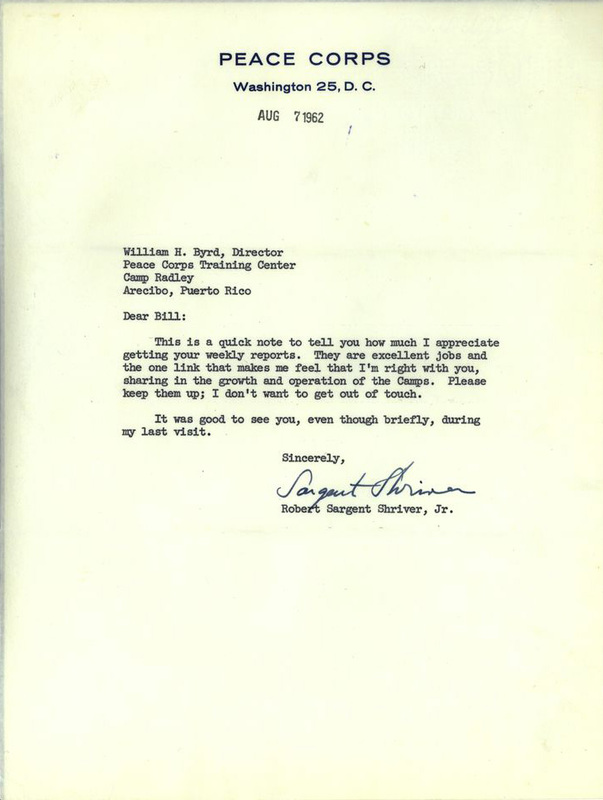 William Byrd corresponded with Sargent Shriver and sent him weekly reports on the Puerto Rico camps. View rest of the folder here. While the collection’s textual materials show us what the training process was like for Byrd’s volunteers, the photographs show us other aspects of the camps. Recreation is a major theme of the photographs, but they also document parties and other activities and offer an interesting look at what volunteers did when they weren’t training. The photographs also include pictures of Byrd’s family and numerous landscapes of Puerto Rico, giving context for the setting of the training camps. 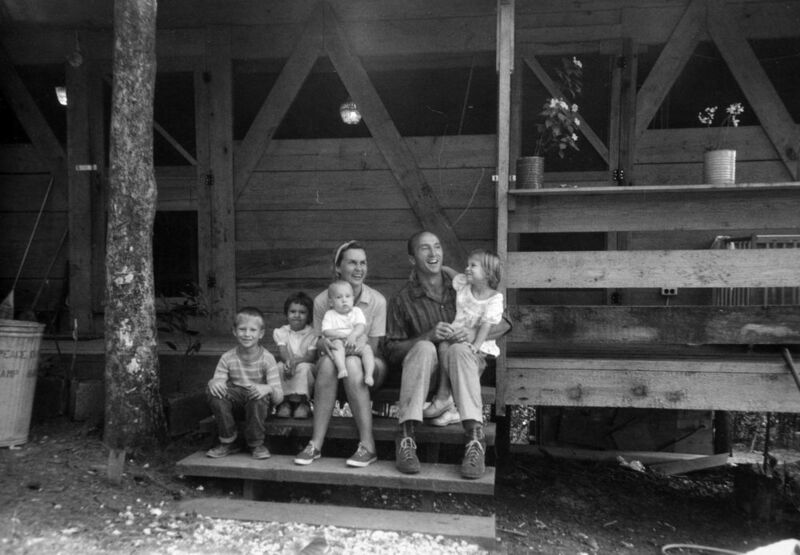 In 1963 Byrd moved back to Eugene, Oregon where he worked as a legal investigator, and later ran the Outward Bound School. William Henry Byrd died in 2008.